It’s only 34 years old, but it’s getting a face lift. Lloyd Center for the Environment, the scenic 82-acre wonderland off Potomska Road, is in line for a new welcome center, waterfront teaching pavilion and other expansions to accommodate the more than 25,000 visitors it serves each year. The center launched a $3 million capital campaign to fund the improvements during its annual meeting April 30, a first for the outdoor mecca that opened in 1981. Stronach said $1.5 million would support facility upgrades and the other $1.5 million would support popular programs, some of which are booked more than 12 months in advance. “We have some planning to do,” Stronach said. Really, the planning has already begun. Braitmayer shares chairman responsibilities with Peter Lloyd Macdonald, part of the family that donated the land to Dartmouth Natural Resources Trust in 1978. Macdonald, who lives in Denver but also owns a home on Barneys Joy Road, helped make the announcement. He is the grandson of the late Demarest and Katharine Lloyd. Macdonald said donors have already committed $1.5 million to the campaign. The heart of the expansion will be an environmentally friendly 960-square-foot welcome center, which calls for inside and outside teaching and meeting space, information displays, a bus drop-off shelter and composting toilets. The “really exciting part,” according to New Bedford-based architect Kathryn Duff, is that the welcome center will strive to achieve Living Building Challenge certification, meaning it must meet several “rigorous” requirements to prove it produces more energy than it consumes. 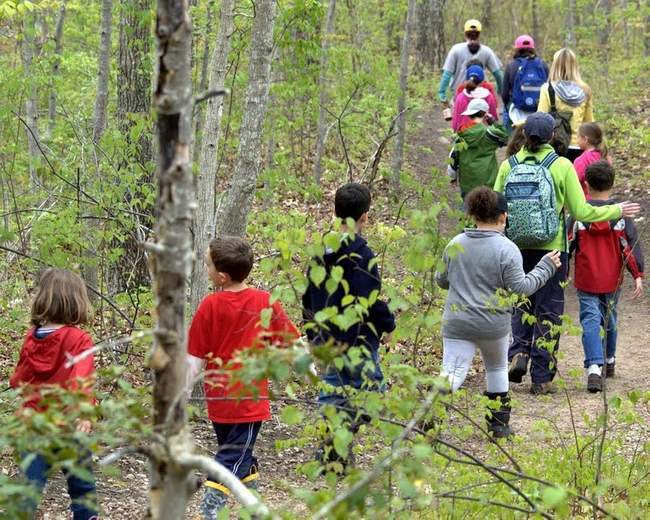 “It’s an excellent opportunity for the building to align with the mission of the Lloyd Center,” said Duff, who has been active with the South Dartmouth preserve since 1993. LBC buildings collect all the water they use in cisterns, have natural ventilation (windows open and close via sensor) and are free of Red List chemicals — materials deemed harmful to the living. To be certified, properties must also demonstrate “universal access to nature,” and educate and engage the public, which “should be very easy” for the Lloyd Center, Duff said. The welcome center would be the ninth fully certified LBC building in the world, according to Duff. 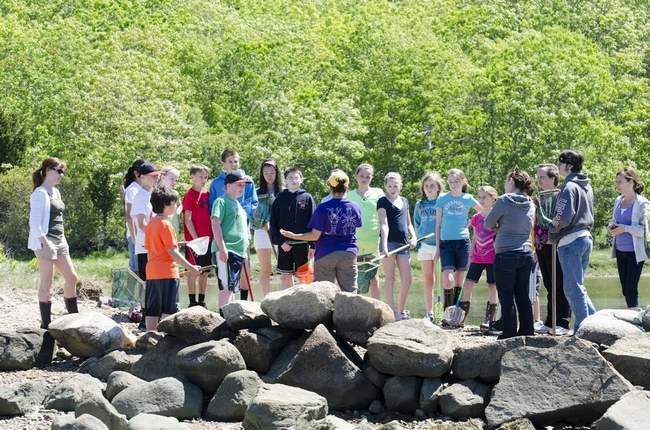 While it would be the first in southeastern Massachusetts, the Bechtel Environmental Classroom at Smith College in Whately is the first in the state. In addition, two projects are underway at Hampshire College in Amherst, Duff said. Buildings are certified after one year in operation. • A loop off the main access road that would allow for easy drop-off and pick-up. • A 600-square-foot waterfront pavilion that would serve as an open-air learning structure and a shelter in nasty weather. • A 1,600-square-foot addition to the Exploration Center that would make room for more education, outreach and research programs in addition to live animal and natural history exhibits. The Lloyd Center faces challenges with storage, room for children to sit and handicap access. One unisex bathroom serves up to 80 students at any given time, bus space is cramped and parking is limited, according to center leaders. The inconveniences taint an otherwise vibrant learning experience, according to Stronach, who said the center served more than 1,000 students in the first three months of this year. “We have a very forward-thinking board,” she said of the plan. Gaelen Canning, a development consultant serving on the steering committee, said the center needs “enthusiastic people out there saying amazing things are happening” there. She said the committee is looking for donors to bring the plan into reality. “The Lloyd Center in my mind is the best kept secret in town,” she said. The Lloyd Center sits on 82 acres of oak-hickory forest, freshwater wetlands, salt marsh and estuary. 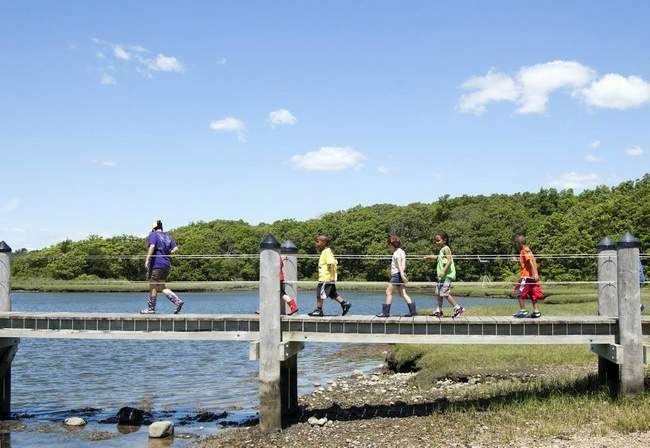 Five walking trails offer scenic views of Buzzards Bay, Demarest-Lloyd State Park, Mishaum Point and the islands. More information on the Lloyd Center, 430 Potomska Road, is available by visiting lloydcenter.org or calling (508) 990-0505.